E2S offers the GNEx family for hazardous locations. It features GRP housings and sealing to IP66, is approved by IECEx and ATEX for Zone 1, 2, 21 and 22 use. The visual signals in the GNEx family feature a 5, 10, 15 or 21 Joule Xenon strobe light source, giving an effective intensity light output, of more than 900 cd for high ambient light or long-distance signalling. The LED variant contains a light source that has five flash rates: 1, 1.5, 2 Hz and double and triple flashes. High and low power steady modes for status indicator uses can also be user selected. The Cree LEDs employed in the GNExB2LD2 beacon have a life of more than 60,000 hours. 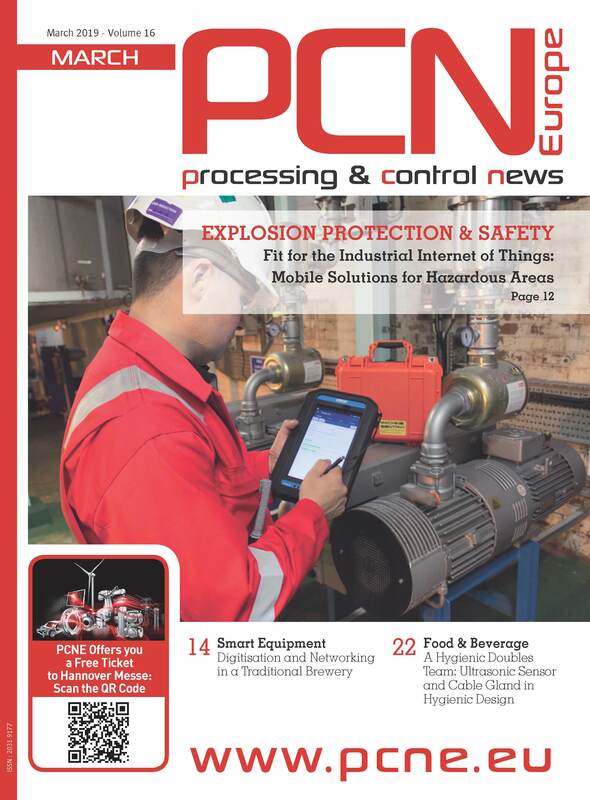 DC voltage versions feature three remotely selectable stages enabling multiple warnings to be signalled from one device. All the GNEx visual signals utilise a polycarbonate UV stable prismatic lens which are available in Amber, Blue, Clear, Green, Magenta, Red and Yellow and are field-replaceable. Installation time for both sounders and beacons is minimised as the GRP enclosure has a threaded flame path, multiple cable entries and a large termination area. 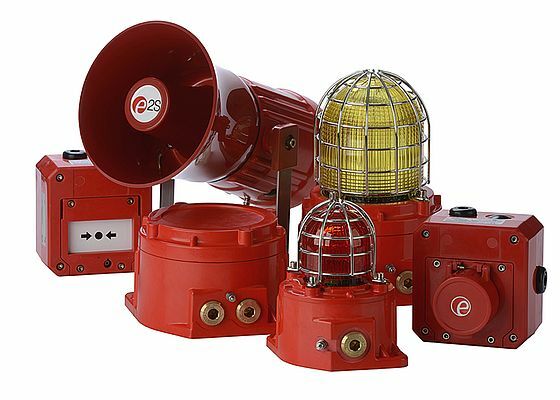 The alarm horn sounders have outputs up to 123dB(A) @ 1m, are available with either flared or radial horns, have 64 embedded tones, including the PFEER and major national tones, and offer four stages with the first two independently selectable. 15 and 25W loudspeaker versions are available in 8 Ohm, 16 Ohm and 70/100V Line versions for clear and powerful voice messaging in hazardous areas. Designed for the manual activation of fire alarms, gas detection and emergency shutdown systems, the GNEx manual call points are available with break glass, push button and push button with tool reset operation, and a comprehensive range of standard accessories. Series and EOL resistors in a range of different values can be fitted to all models as required and DPDT switching and LED indicators can also be specified.